Kayleigh Powell- Salon Manager Qualified Beautician & Training Manager. Fully Qualified Elemis Beautician, & Bridal Hair Specialist & Make Up Artist. Kayleigh has 12 years of experience within industry and is our expert in all aspects of beauty. Her Bridal hair styles are amazing and she has recently returned from the Bridal workshop in Manchester and is planning to share the best techinques and wedding styles with her team. Kayleigh, has an Awesome task this year, as she plans to work towards SVQ Accredition for Beauty. She will soon be running our training school - Well done Kayleigh. Days Off: Tuesday, works late evenings to 8.30pm on Wednesday and Thursdays. We are delighted to annouce that Alex, will be working at this years PARIS fashion week, with ECRU New York. Wella Trend Vision 2018 - Regional Colour Finalist for Scotland and the North East. 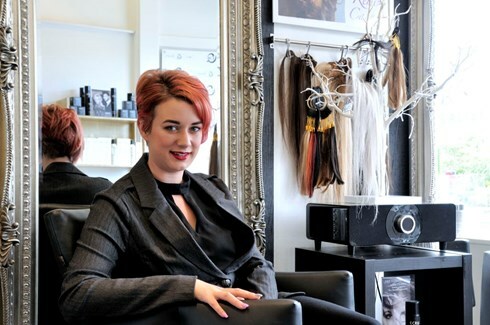 Alex, has been in the hairdressing industry since she was 16, she has excellent all round experience. She first started off her training in an award winning salon and continued to develop as a professional. Alex, heads up the hairdressing & wedding team, at LMQ. 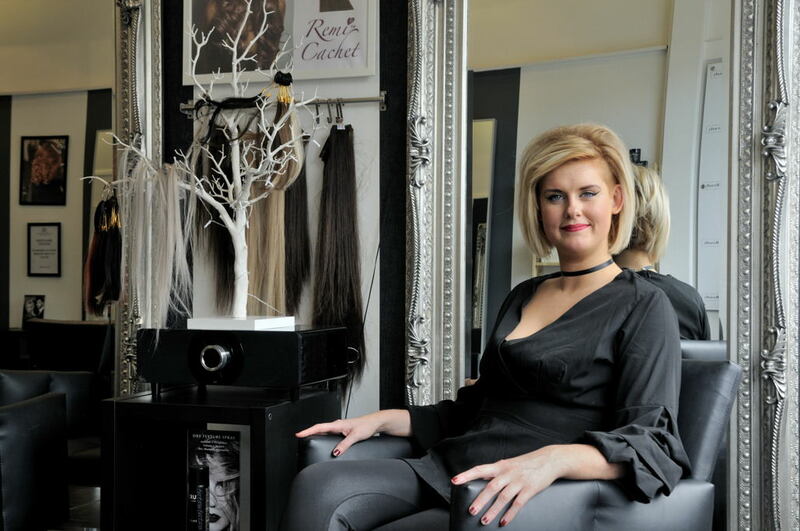 She has worked very hard in securing LMQ Hair and Beauty as a Regional Finalist in the WELLA Trendvision 2018 Regional Awards. Alex, specialises in Nano Keritan Smoothing Treaments, Colour, and the most amazing bouncy blow drys. 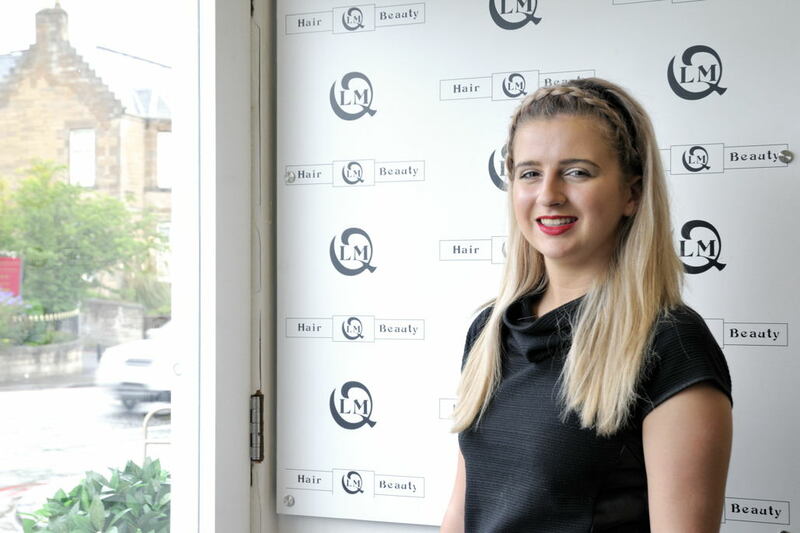 The team at LMQ Hair and Beauty Edinburgh would describe her as creative, friendly and hardworking. Well done Alex from all of your team and clients. We would like to wish Alex all the best at this years Wella Trend Vision 2019 Competition. Days off: Sunday & Every alternative Monday. 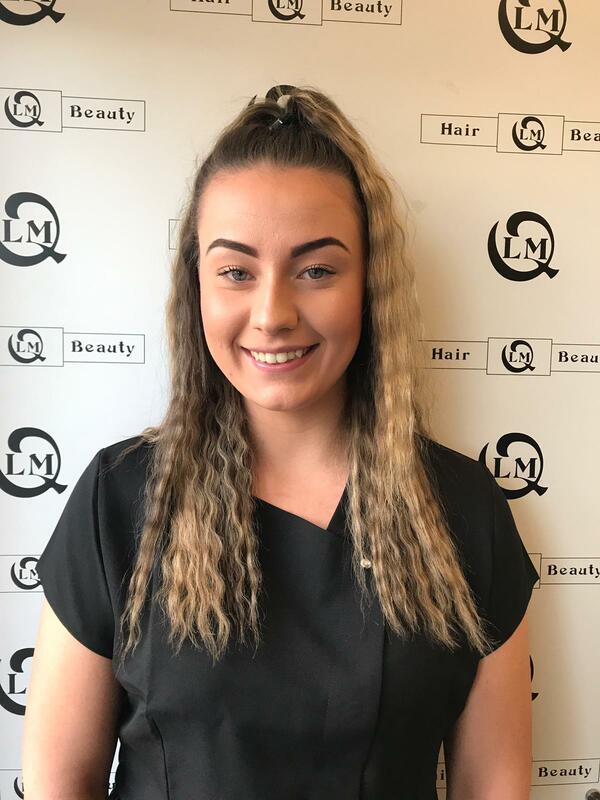 Rebecca who is a fully qualified to SVQ Level 3 in haidresser, and will be shortly working towards her HNC in Management. Rebecca specialises in Bridal & Hair Extensions, Nano Keritan Treatmenets. Her particular passion is Brial hair, and enjoys styling hair ups for all of those special occasions and bridal parties. She excels in cutting and styling skills. Recently returned from a Wella Colour Creative day at the Edinburgh Studio, Rebecca is up to date with the current trends. The team at LMQ Hair and Beauty Edinburgh would describe her as creative, passionate and hardworking. Rebecca, has entered into this years Wella Trend Vision 2019 Competition and we wish her all the best. Specialises in Semi Perm Tatti Lashes - This years most popular treatment. Emma is also experinced in Facial, Massages, Manicures, Pedicures, Waxing and Spray Tans. Emma is curretly enhancing her skills and will be attending the arcrylic nail course this month. Check out our special offers page for discounted treatments, during her training. Lisa is the newest member of the team and has got of to a fantastic start. "Client Review left by Louise 22 Days ago"
Really delighted with the balayage and cut by Lisa! Lisa took great care and attention to what she was doing and listened to what I wanted. She and the other staff were so friendly and welcoming, the salon is lovely and I would definitely go back. I was offered tea, coffee or prosecco when I arrived - next time I'll leave the car at home and take the prosecco ;) Highly recommend!